Every company founder’s dream is to have the perfect website that will attract customers and successfully convert them into leads. Even if you have already built a profitable business in the SaaS industry, you may not want to stop at this point. Instead, you may wish to design something new and find new opportunities to develop and promote it. 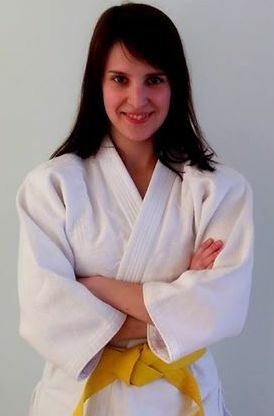 For example, a new brand or a new product. However, before creating a new website, you will need to choose and buy a domain. The total number of existing top-level domains is 1,528, so you may spend a lot of time deciding which one is the most suitable for your business. 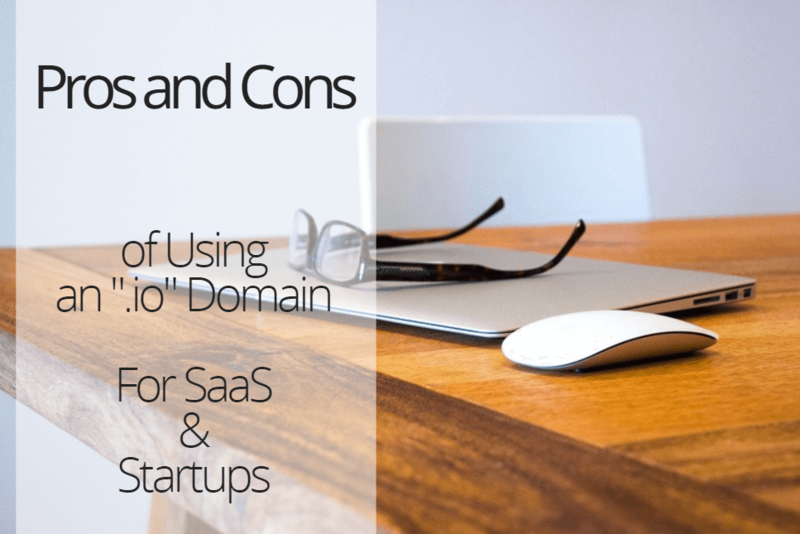 Recently we’ve noticed that more and more tech startups are choosing a .io extension over a great variety of domains, and even over the conventional .com domain. That’s why in this article we’ve decided to consider why the .io domain is becoming so popular and what the pros and cons are of having this type of domain. Wikipedia defines .io as the Internet country code top-level domain (ccTLD) assigned to the British Indian Ocean Territory. At the same time, developers associate “io” with input/output which describes any program, operation or device that transfers data to or from a computer and to or from any other device. Thus, it is possible that choosing a .io domain is how tech startups want to highlight their IT specialization. There are a number of established companies that use a .io domain including canon.io, blockbuster.io, and coke.io. Surprisingly, even Google has a .io domain: google.io. Below you’ll find several advantages and disadvantages that influence the popularity of the .io extension. We’ve studied various forums and discussions where people shared their opinion about the .io domain to find out whether it is worth it to buy a .io domain or it is better to choose another one. The .io domain is one of the newest extensions, so it is no surprise that it has innovative and trendy connotations related to tech and startup communities. People associate the .io domain with startups or companies whose primary service is either entrepreneurial or technology related. These types of associations may help you boost your brand recognition. People will understand the specialization of your business even without learning more about your product or service. Since the .io domain is new, there are more available variants of website names as compared to the .com domain. If you want a .com domain, it will be harder to create a new name as many attractive ones may have already been taken. The .io domain provides a greater possibility that the name you’ve created will be available and you will not have to change it. Moreover, inbound.org says that a great company and website’s name should be short, simple, memorable, and unique. However, short, memorable and unique .com domains will cost you a fortune as their prices vary from hundreds of dollars to tens of thousands whereas the .io domain’s cost is much cheaper. Examples of .io domain hacks include card.io, rub.io, postach.io and so forth. With the help of this type of hacks, you can make your website’s name memorable and catchy, and consequently, contribute to your brand recognition. A top level domain (TLD) is one of the domains of the highest level in the hierarchical Domain Name System of the Internet. TLDs are divided into several groups: generic top-level domains (gTLD), country code top-level domains (ccTLD) and others. Generic TLD suffixes (.com, .net and so on) are most often used internationally, while companies, services, and organizations that use cTLDs (country code top-level domains) are targeted to a specific territory. For example, .eu refers to the country code domain of the Europe Union, .fr to France and continues similarly with other countries. 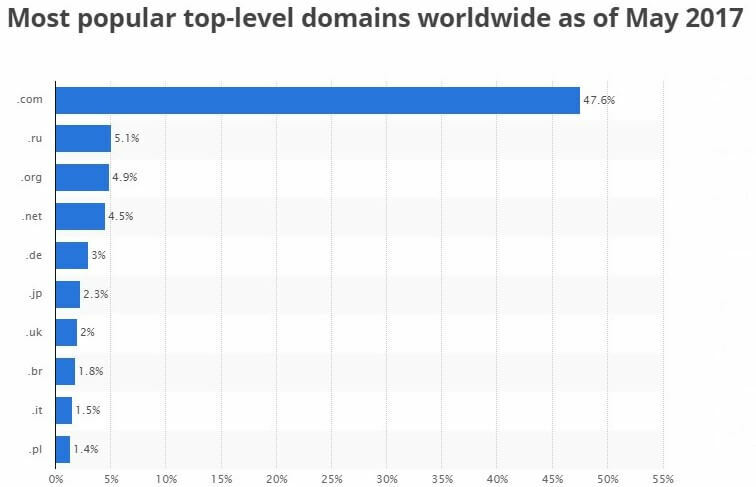 As we mentioned above, Google has categorized .io among its group of generic country code top level domains assigned to the British Indian Ocean Territory. Thus, the .io extension will not influence the organic search traffic to your website in a bad way. On the contrary, your website (if its rank is high) will be shown not only to British Indian Territory but also internationally. .io is a two-character domain and is shorter than many of the other extensions. The easier it is for website visitors to type your URL into a browser, the better. At the same time, there are a few cons associated with a .io domain, and you should be aware of them when deciding to purchase one. The .com domain has global recognition. It is treated as reliable and stable and communicates brand maturity. The .io domain is relatively new, and, as such, it hasn’t gained the same reputation as .com. At the same time, there are no TLDs that Google finds preferential to others. All of them are treated equally in rankings. .com is the most popular extension, and the majority of users will think of this extension first when searching for a company’s website. When using other domains, you will need to point out that your domain name is example.io, not example.com. As we’ve mentioned above, .io is more customary, and therefore, most recommended for innovative and/or technology related companies because it is more likely that their target audience will recognize and trust a .io extension. A .io domain suggests that a company is probably new or has only been on the market for a short period of time, so, it’s hard to evaluate its reliability. As you can see, all the cons of using a .io domain are connected with prejudices concerning all of the domains except for .com. However, there are not enough .com domain names for everyone, especially ones that are short and memorable. New domains are growing in popularity because the number of vacant .com domain names is continuously decreasing. Nowadays it’s can be hard to find a catchy name that has not been bought yet. The .io domain can be a good alternative to .com. 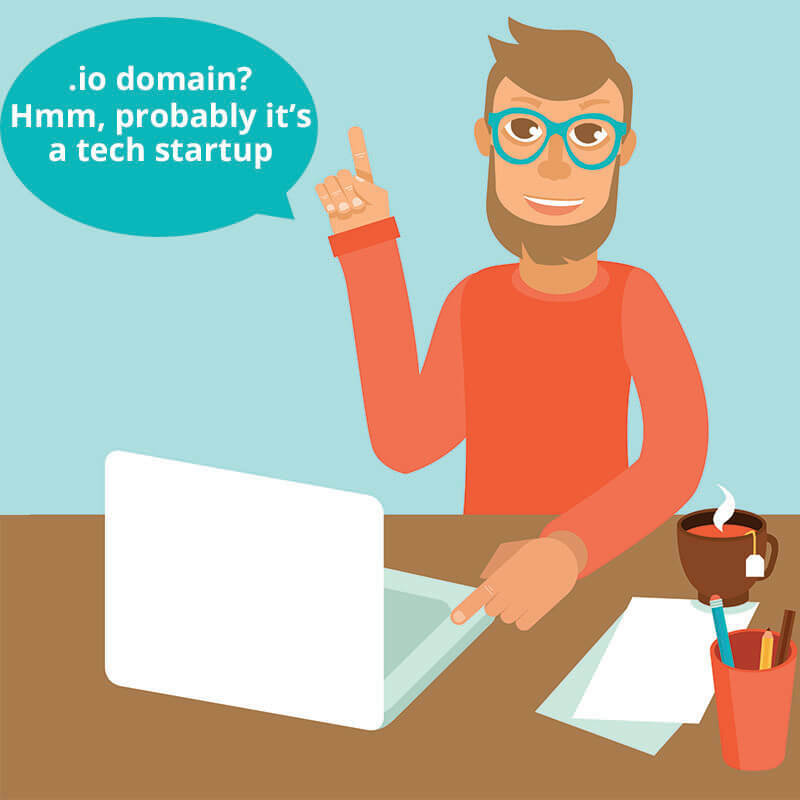 – The .io domain is a great choice for tech startups, as in most cases it is related to the tech world due to the association with input/output. – .io domain hacks can help you invent a catchy name that is unavailable with .com. What do you think about choosing a .io domain? Share your opinion in the comments section.